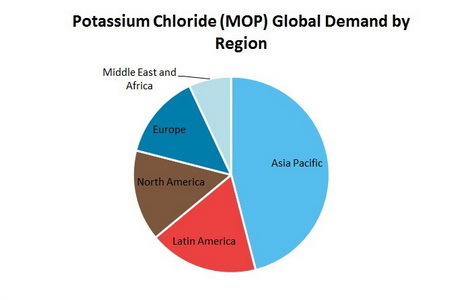 Potassium Chloride (MOP, Muriate of Potash) 2019 World Market Outlook and Forecast up to 2028 grants access to the unique data on the examined market. Having used a large variety of primary and secondary sources, our research team combined, canvassed and presented all available information on product in an all-encompassing research report clearly and coherently. *Please note that ""Potassium Chloride (MOP, Muriate of Potash): 2019 World Market Outlook and Forecast up to 2028"" is a half ready publication and contents are subject to changes and additions. We have all data necessary for report preparation but it needs to be retrieved from our databases, organized in a report, updated with the latest information and thus the complete study will be presented. This process takes 3-5 business days after the order is placed. Thus, our clients always obtain a revised and updated version of each report. Please note that we do not charge for an updating procedure."